In Kyiv today, October 12, the international civil campaign Liberate Crimea started, which is part of the large-scale initiative Crimea is Ukraine. Its goal is to support the liberation of the Crimea and the integrity of Ukraine, as well as the expression of solidarity with the Crimean Tatar people. “The program is aimed at strengthening the voice of civil society calling for the cessation of the illegal occupation of Crimea,” Eskender Bariev, Chairman of the Crimean Tatar Resource Center, member of the Mejlis of the Crimean Tatar people, said at the presentation of the campaign. As part of the campaign, it is planned to repeat the initiative United by the Flag, which the Ukrainian diaspora held this year, when the Ukrainian flag traveled around 20 countries on all continents where Ukrainian diasporas reside, and arrived in Kyiv on August 23 - the Day of the National Flag of Ukraine. The organizers want the action with the Crimean Tatar flag to cover even more countries of the world, first of all - in Asia. 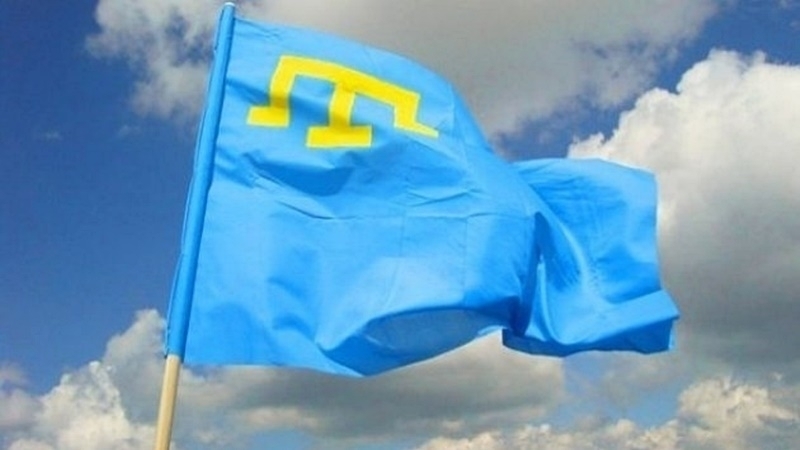 It is expected that the banner will return to Kyiv on June 26, 2019, to the Day of the Crimean Tatar flag. “On October 16, representatives of the Ukrainian diaspora from Australia will arrive in Kyiv, they will take the flag with them. For a month, until November 27, the flag is planned to go around all the major cities of Australia. After that, it will travel to America and Canada. Then to Argentina, Brazil, and then Europe and Asia,” activist Mykola Krutsyk said. QHA reported that, representatives of the Ukrainian diaspora transferred the banner uniting Ukrainians from all over the world to the National Museum of the History of Ukraine to the Day of the National Flag of Ukraine. Before arriving in Kyiv, the Ukrainian flag traveled from Ireland to Australia.